Bhutan Druk Path Trekking is beautiful scenic high elevation hike in Bhutan’s remote alpine areas. The trekking route of this Druk Path follows traditional mule route between Thimphu and Paro which supplies rations and stuff in the remote place. It popular trek recommended route and duration for those who are moderate trekkers and need ample time to explore the countryside. It is considered as one of the most varied and outstanding destinations where trekkers can witness the Last Shangri –La on Earth. Trekking in Bhutan allows trekkers to hike along beautiful landscape is covered with lush green forests and splendid of snowcapped peaks beyond together. This itinerary is a guideline only and we will follow the itinerary as far as possible but due to weather conditions, health conditions, natural disasters and other unfavorable phenomenon your guide might decide to amend or cancel the itinerary for your own safety. Your guide will help you at any time with providing information regarding conditions and safety during the treks. The flight to Paro is one of the most spectacular mountain flights in the world, with a constantly changing panorama of some of the highest mountains on earth. Our Bhutan Travel Bureau representative will meet you at Paro airport. 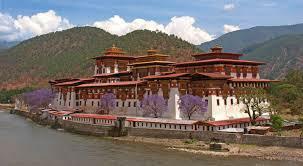 After lunch, enjoy afternoon sightseeing around Paro, including a visit to the National Museum, Ta Dzong. 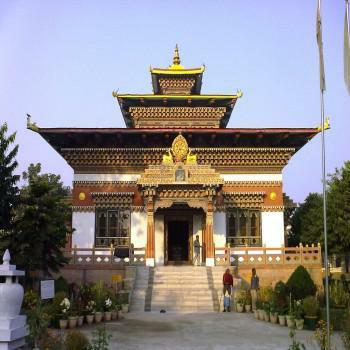 This museum houses many religious relics, works of art and handicrafts offering a great orientation into Bhutan’s historical and cultural past. Next, visit the Rimpong Dzong to see the painting of the great saint Milarepa, considered as the master of meditation by the Bhutanese and believed to have attained enlightenment in a lifetime. 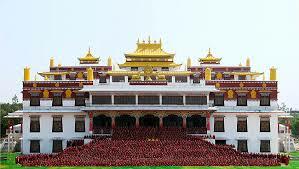 Dzong’s are large monasteries and district administrative centers, which were once strategic forts. Afterward, walk to the beautiful cantilever wooden bridge still in use. Overnight in Paro. After breakfast hike to Taktsang Monastery. The trail is broad and the walk of approximately 1.5 to 2 hours uphill takes you high above the Paro valley. 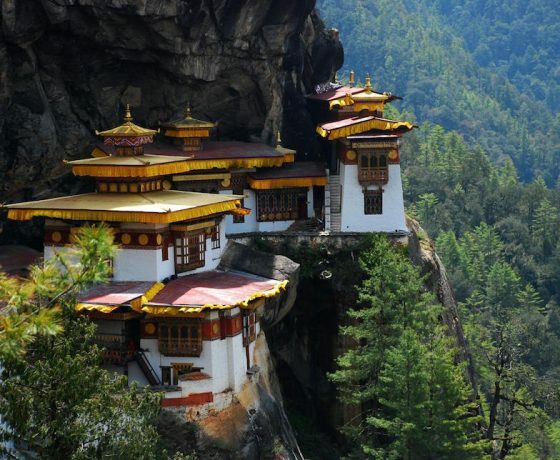 The view of Taktsang Monastery built on a sheer cliff face 900 meters above the valley floor is a spectacular sight. 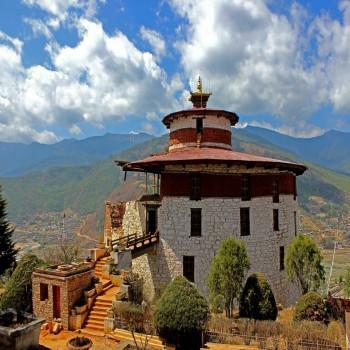 The great Guru Rimpoche is said to have flown here on the back of a tigress when he brought the teachings of the Buddhist Dharma to Bhutan in the 8th Century. Nearby there is a teahouse where you can stop for lunch. In the afternoon drive to the ruins of the 17th Century Drukgyel Dzong, a historic monument built by the Shabdrung to commemorate his victory against invading Tibetans in 1644. In fine weather, the towering peak of the sacred Mount Jomolhari (7314m) appears as a stunning backdrop. On the return drive to Paro, visit 7th Century Kyichu Lhakhang, one of the 108 temples constructed by the Tibetan king Songtsen Gampo. Kyichu is built in a manner similar to the Jokhang in Lhasa. Overnight at your hotel in Paro. Have your breakfast in the morning and today is a short trekking day. The journey starts with a climb up to Jele Dzong. The trek trail ascends gradually up to the camp, and if the weather is clear Paro valley can be seen surrounded by snow-capped mountains. Above the camp is Jele La (3400m) and Jele Dzong. There is also a Lhakhang containing a statue of Buddha Shakyamuni. Overnight at a campsite. After your breakfast begin your day with a one and a half hour climb and then ascend more gradually upwards. The trail takes us through thick alpine forests of rhododendrons. You will have fine views of Mt. Chomolhari and other snow-capped peaks if the weather is good you may hear some pheasants calling during the day. You may also see yak herders around your campsite. Overnight at the campsite. Have your breakfast in the morning and get ready to head towards Jimilangtsho. The trail follows the ridge, and when the weather is clear, views of the mountains and valley are sensational. You will enjoy the great view of Jichu Drake (6989m), the peak representing the protective deity of Paro. 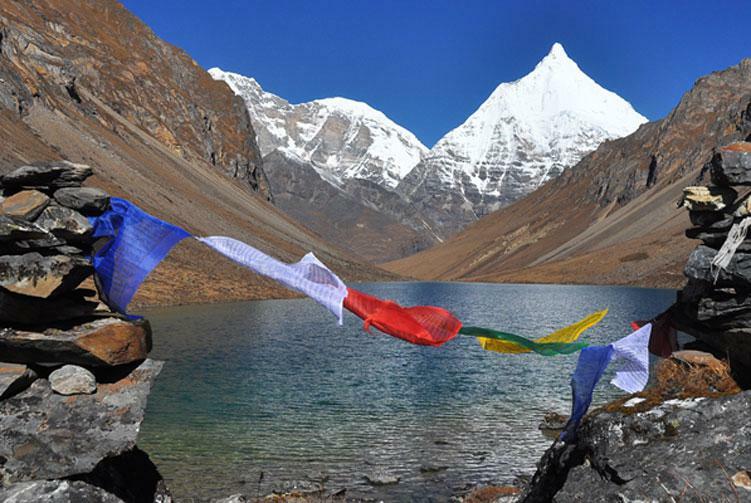 Your camp is close to Jimilangtsho lakes, famous for their giant sized trout. Overnight at the campsite. After your breakfast in the morning start your hike towards Simkota. The trail takes us through dwarf rhododendron trees and passes by the lake of Janeetsho. Today we may come across some yak herder’s camps and get an idea of how these people live. You camp overnight close to Simkota Lake. If you are lucky then you can catch a lake trout for your dinner. Overnight at the campsite. Have your breakfast in the morning and today begins with a gradual climb along your path and if the weather permits, you will enjoy majestic views of Mt.Gangkar Puensum, the highest peak in Bhutan. You may also view a host of other peaks from Phume La (4080m). The trail slowly descends through juniper trees to a campsite. Overnight at the campsite. Have your breakfast in the morning and then begin your trek. The trek to Thimphu is downhill all the way, passing through a forested area of mostly blue pine. Taking a leisurely pace, you reach Thimphu in about 3 hours. After some rest, you will drive over the Dochu-La Pass (3100 m), which on a clear day offers an incredible view of Himalayan peaks before descending into balmy Punakha valley (about 3 hrs total driving time). The drive through the countryside affords a glimpse of everyday life in this most remote of Himalayan kingdoms. In the Dochu-La area, there are vast Rhododendron forests that bloom in late April/early May covering the mountains in a riot of glorious spring color. Punakha was the ancient capital of Bhutan. On arrival, visit Punakha Dzong, built in 1637 by the Shabdrung, the ‘Unifier of Bhutan’ as predicted by the great Guru Rimpoche (Padmasambhava). It is situated at the confluence of the Mo Chu and Pho Chu Rivers and is the winter headquarters of the Je Khenpo and hundreds of monks who move en masse from Thimphu to this warmer location. The three-story main temple of the Punakha Dzong is a breathtaking example of traditional architecture with four intricately embossed entrance pillars crafted from cypress and decorated in gold and silver. Then, You will enjoy a walk to Chimi Lhakhang, the temple of the Drukpa Kuenly who is also known as the Divine Madman. He inherited the Divine Madman title since he revolted against the orthodox Buddhism in his time. He taught the people that religion is an inner feeling and it’s not necessary that one should be an ordained monk. He is also considered a symbol of fertility and most childless couples go to his temple for blessing. Return to Thimphu. Overnight in Thimphu. Have your breakfast in the morning and enjoy the sightseeing in Thimphu beginning with a visit to the National Memorial Chorten depicting the Buddhist faith in the form of paintings and statues. This temple was first initiated by the Third King as a protection from the negative elements of modernization. The Royal Queen Mother completed it as a memorial stupa for the third King who passed away in the year 1972. Other highlights include the 12th Century Changangkha Temple, Drubthob monastery housing the Zilukha nunnery, the School for Arts and Crafts where the students are taught to master the 13 types of Bhutanese art, the National Library housing a collection of Bhutanese scriptures dating back to the 8th century, and a fascinating replica of a medieval farmhouse at the Folk Heritage Museum. If there is time, you may also visit the nursing pen for the Takin, the national animal of Bhutan and Tashichhodzong. In the early evening depart for Paro. Overnight in Paro. Have your breakfast in the hotel in an early morning and later on our office representative will transfer you to the airport for flight to your onward destination. Have a safe journey onwards. Reach trekking point in a private vehicle. International flight ticket from Ktm-Paro & Paro-Ktm. Accommodation throughout the trek on room only basis in the best available hotel. Highly experienced trek guide, English speaking, and government-licensed. Porter service (2 trekkers one porter) one porter only carries 18kgs of weight. All necessary paperwork and trekking permits. Staff costs including their salary, insurance, equipment, food, and accommodation. donation in temples, schools, monasteries etc . To enhance your experience in Nepal, we give you the possibility to add one or more extra activities to this travel package. The step of adding these is available in the "Book now" process. Do not hesitate to check each extra activity. They can be booked also separately. Title Mr. Ms. Mrs. Dr. Er. Prof.